. 2013 PHSG, (High School) Art Project, St. Gallen:“ Courageous People“.
. 2012 Anne - Frank - Schule Art Project, Eschwege, Germany:“ Courageous People“. "Twenty years ago, Swiss artist Verena Brassel made her first trip to Israel, an encounter that decisively influenced her work. She cites a visit to the “Shrine of the Book” in the Israel Museum’s archeological section and the dramatic landscape of the Negev Desert as defining experiences. Over the next two decades, as she delved deeply into Israel’s history and culture, Brassel also discovered her own artistic identity and visual language. Since she began painting, Brassel has turned her interest in history and the ancient cultures of the Orient and Asia into themes for her work. The quest for the ancient roots of mankind is her real motivation. Through many years of artistic and archeological investigation Brassel realized how tightly these civilizations were interwoven with the cultures of Europe, and thus her own culture. Various trips have taken Brassel to the Orient, Morocco and India. She pores over historical relics and collects whatever she can, especially fragments of ancient scripts. These are usually copies that she first transfers to hand-made paper and then incorporates as collages into her work. Whenever possible, she has experts translate the script fragments. 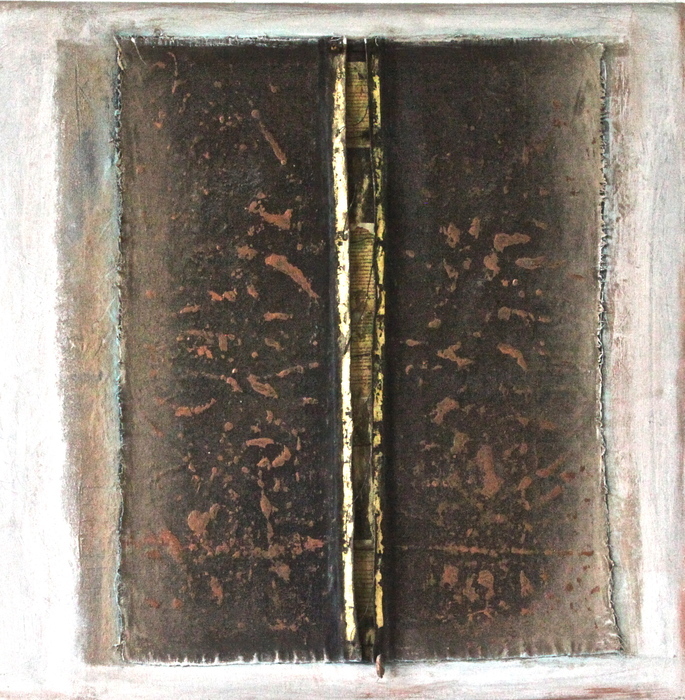 Brassel views her paintings as a meditation, of sorts, on the meaning of these texts. A number of script fragments have refused to give up their secrets; these are the ones that she finds herself almost mystically drawn to. Her abstract imagery and expressiveness refer to underlying, hidden meanings - messages from another realm and fragments of a reality that cannot be understood on a purely rational level. Verena Brassel was born in Winterthur, Switzerland, and has lived for many years in Altstätten. In 1987 she started painting intensively, studying at a vocational art school and taking various courses with internationally renowned artists. 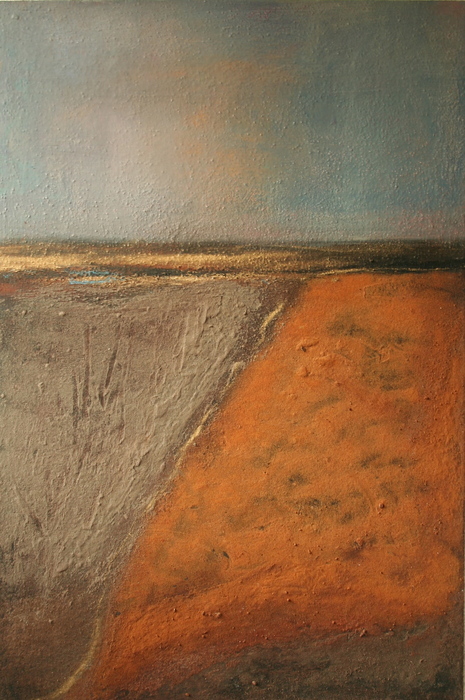 Brassel developed her own expressive techniques, often employing earth, pigments, and various mixtures. Her paintings evoke timelessness, mystery, and transcendence. Brassel’s work has also been exhibited in countries other than her home country of Switzerland and her adopted country Israel. She has had shows in Germany, USA, Austria, Netherlands, and Italy. In Germany she undertook a series of special projects. Her art project with students in Eschwege received second prize in a regional competition. 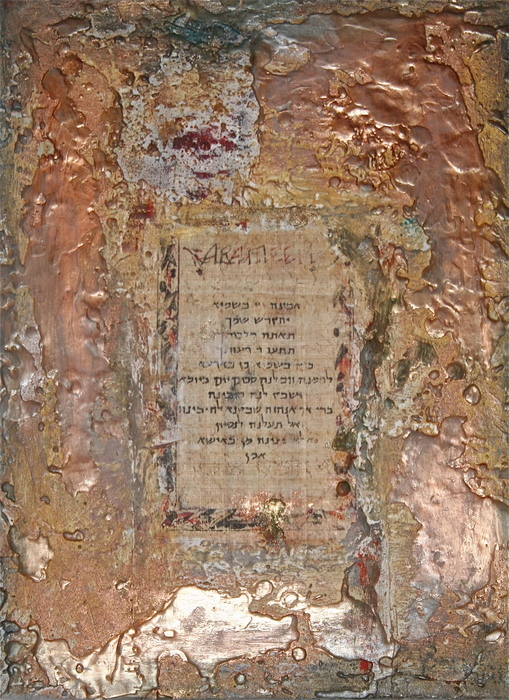 Following a project with students and adults and her exhibition at the Breitenau Monastery and World War II Memorial in Guxhagen, the monastery purchased altar-paintings as well as paintings with historical scripts. At the Anne Frank Schule, Brassel explored the theme “Strong Personalities in Difficult Times” with a group of selected students. She was invited to exhibit at the Bozen Biennial. For more information please contact: info@verena-brassel.ch or visit www.verena-brassel.ch "
Verena Brassel’s paintings cast a spell over the viewer. 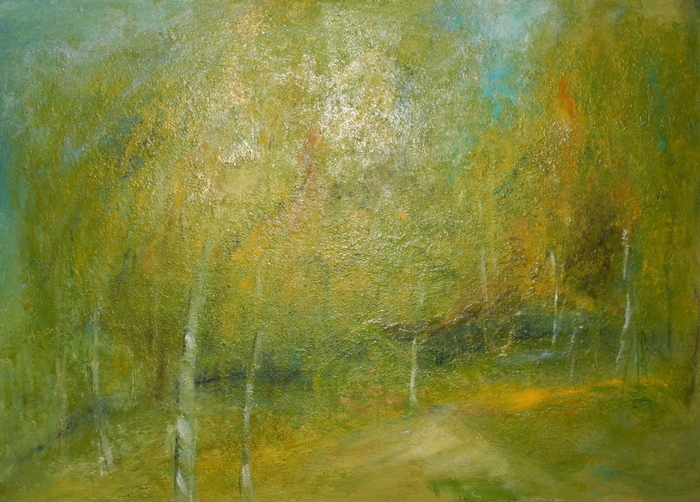 New worlds materialize; color and light forms play games, take on shapes and then dissolve again. Mysterious symbols appear, archaic hieroglyphs of another, transcendental world. Her paintings must be viewed with more than just the eyes. They blossom under the gaze of viewers who are not guided by and caught up in the outer form, but rather are willing to undertake a voyage of discovery into the unique universe of Brassel’s work.